It’s important to be prepared for any contingency, and you can do that by carrying a survival kit in your pack. Here, survival expert Don Mann explains the differences between survival kits for warm weather, cold climate, and overwater. Basic items for each are listed, as are the basic items that SEALs always take with them. Tips on how to prepare your kit and become familiar with its contents are covered. Mann also touches on basic food, water, shelter, fire-starting materials, first aid, and much more. Skyhorse Publishing is proud to publish a range of books for readers interested in military tactics and skills. We publish content provided by or of interest to the U.S. Army, Army Rangers, the U.S. Navy, Navy SEALs, the U.S. Air Force, the U.S. Marine Corps, and the Department of Defense. 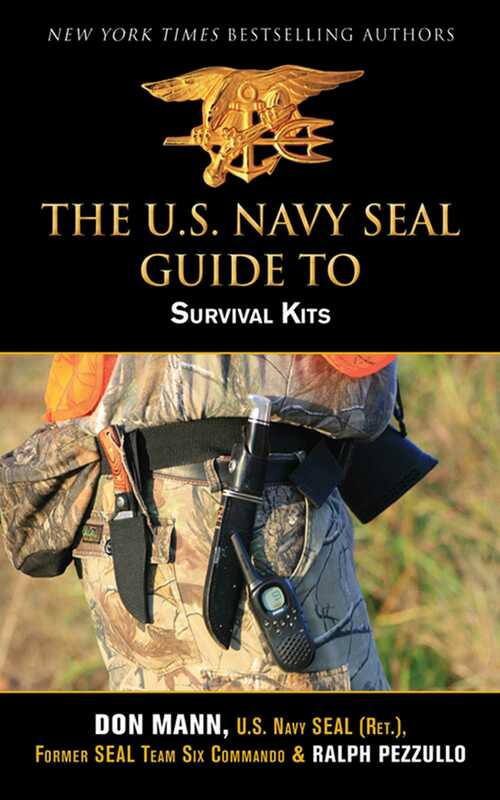 Our books cover topics such as survival, emergency medicine, weapons, guns, weapons systems, hand-to-hand combat, and more. While not every title we publish becomes a New York Times bestseller or a national bestseller, we are committed to publishing books on subjects that are sometimes overlooked by other publishers and to authors whose work might not otherwise find a home.